Add style and sophistication into your bedroom space with the beautifully designed Rosie Bed frame. 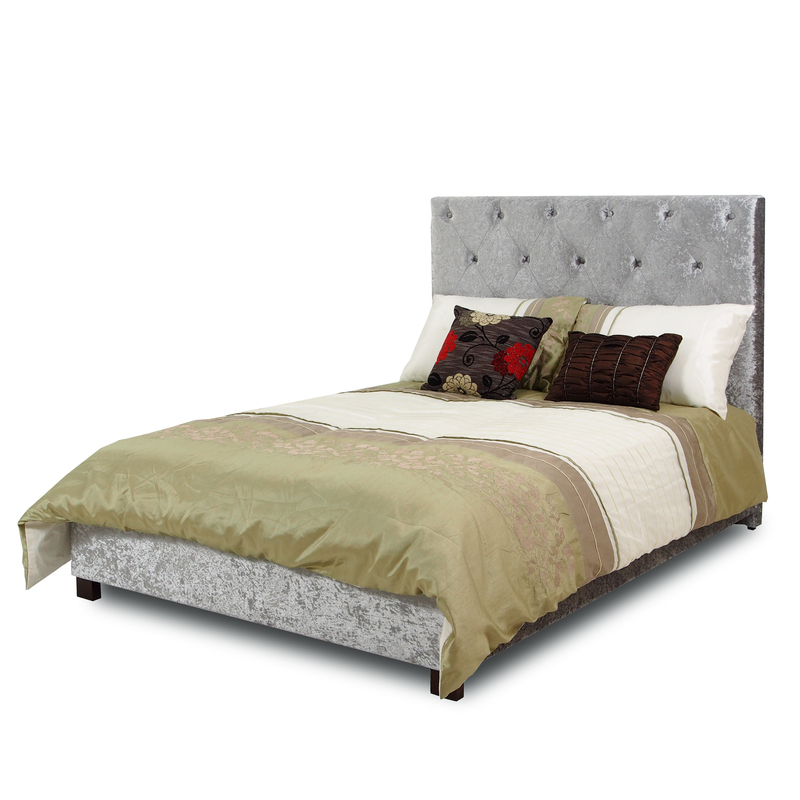 It features a sleek and modern high back bedhead, providing that extra wow factor. A unique design that is sure to grab the attention of anyone walking into the room. Be sure to add one to your bedroom space. Finished in a crushed velvet and button press feature, the Rosie is a beautiful, elegant bed.